Are you looking to reduce your energy costs and create a more sustainable home? We can tailor a solution that is right for you and your energy needs. 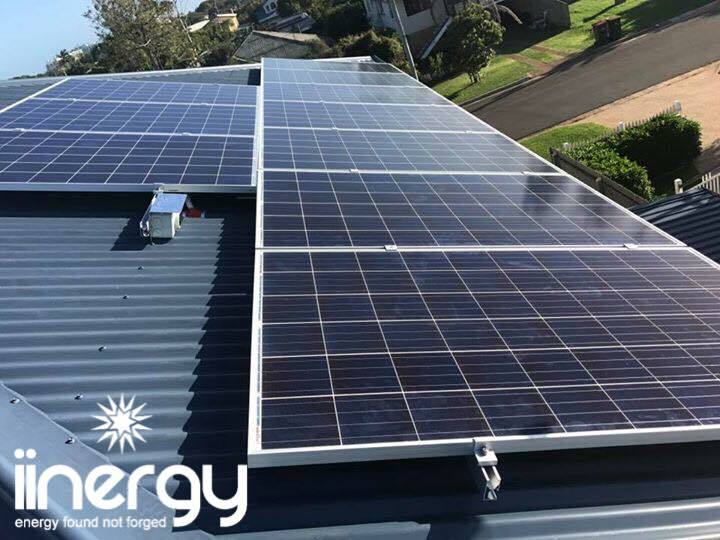 With an excellent range of products and quality workmanship that is second to none, make the switch to Solar with iinergy! iinergy provide a broad range of electrical services for both residential and commercial customers. From general house wiring to energy solutions such as LED lighting and hot water heat pumps, iinergy does it all. We would love to get involved with your next project! At iinergy we specialise in the design, supply and install of quality energy efficient Air Conditioning systems for both our residential and commercial customers. We use only high quality brands such as Daikin, Fujitsi, Samsung and Mitsubishi. iinergy offer a same day quote. "My power bill and usage has decreased by 50% over the last quarter. I have massive gum trees shading my back yard but with iinergy's modern panels, this no longer impacts their performance as much as the original technology." "The team installed HT solar panels with a Sungrow inverter. I'm thrilled with my solar system and i'm looking forward to the savings on my next power bill!"